James H. Wood. The War; "Stonewall" Jackson, His Campaigns, and Battles, the Regiment as I Saw Them. 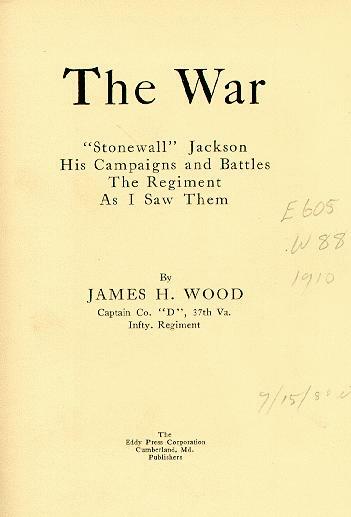 The War; "Stonewall" Jackson, His Campaigns, and Battles, the Regiment as I Saw Them. Cumberland, Md. : Eddy Press Corporation, .